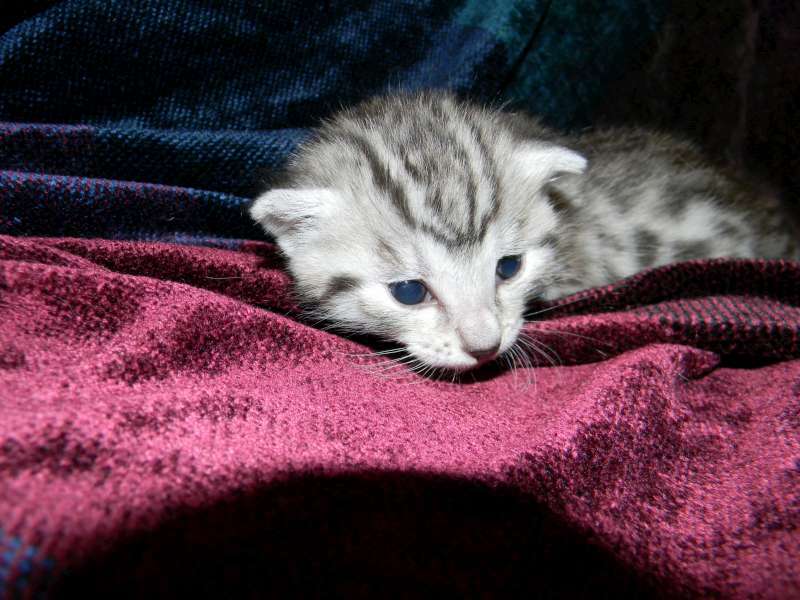 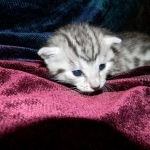 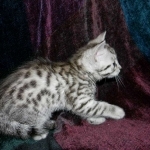 This beautiful silver boy will be going home to Lyn and Jim and their Birman kitten. 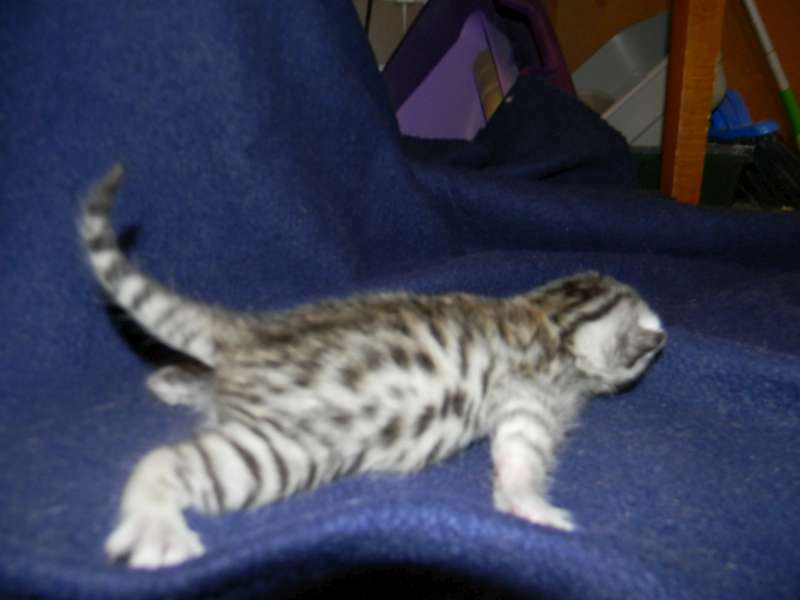 Trying so hard to get around here at just 10 days old. 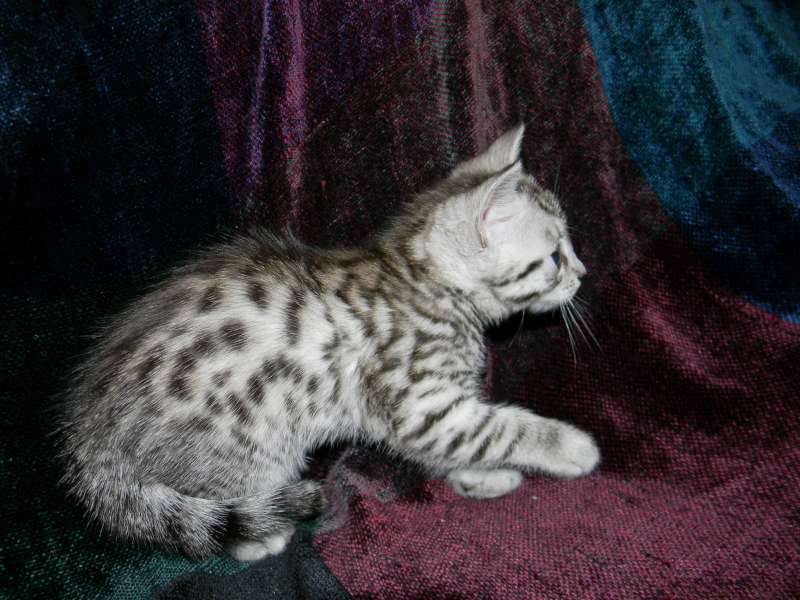 This boy has huge spots and a super clear coat. 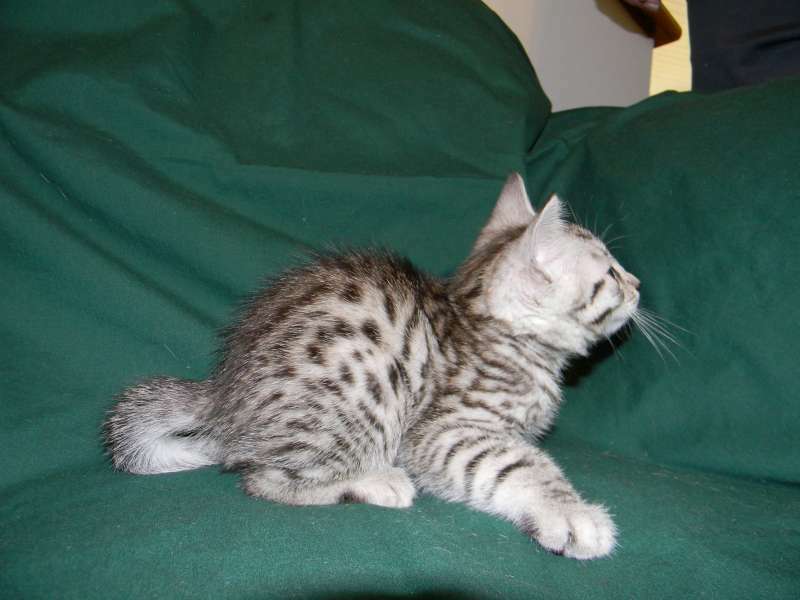 Who can resist this precious Egyptian Mau face. 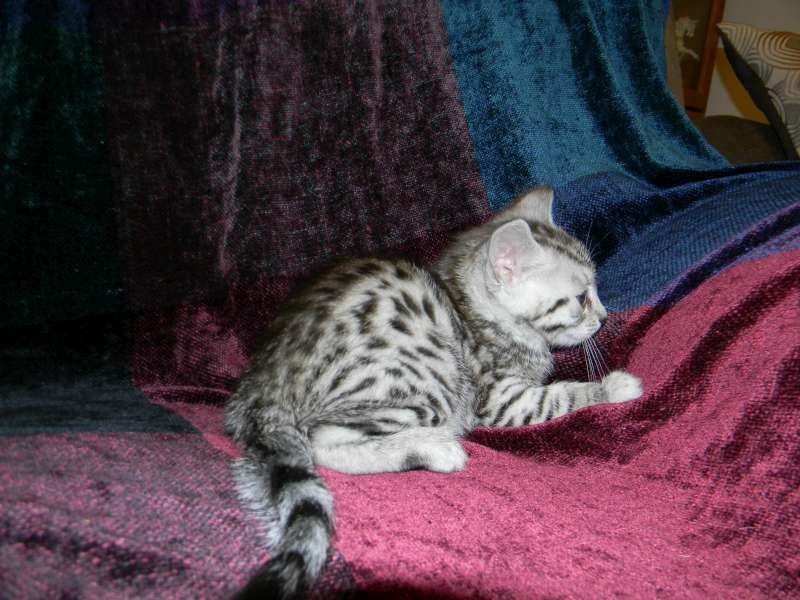 This little guy have HUGE SPOTS!!! 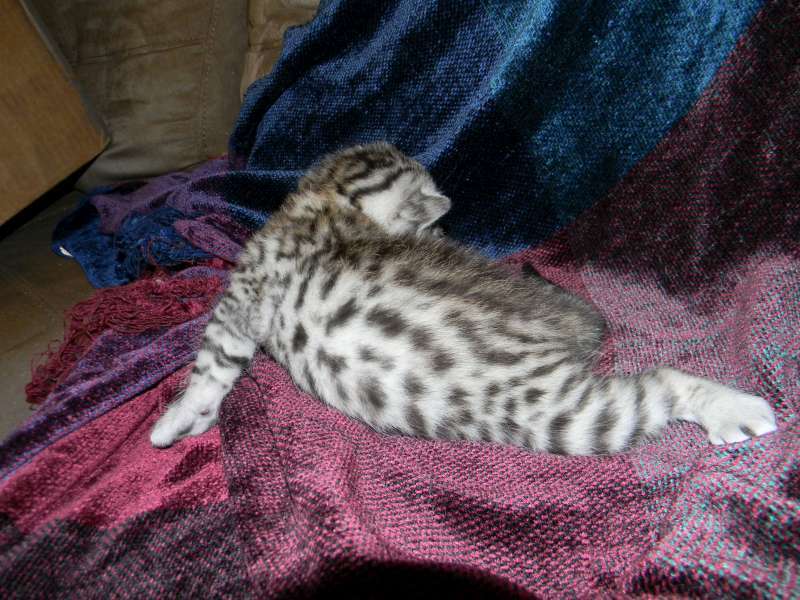 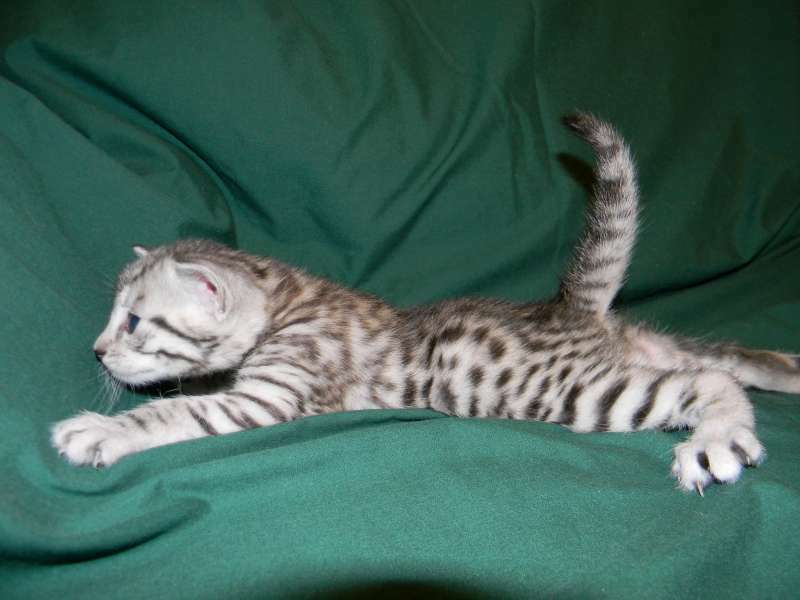 His spots would be the envy of most Hybrid kittens. 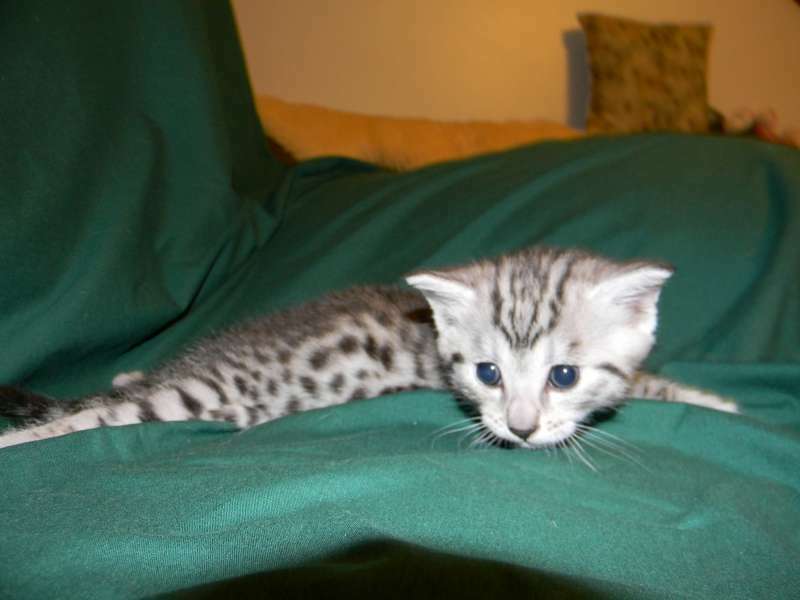 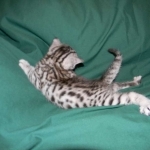 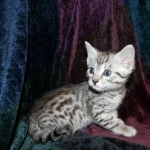 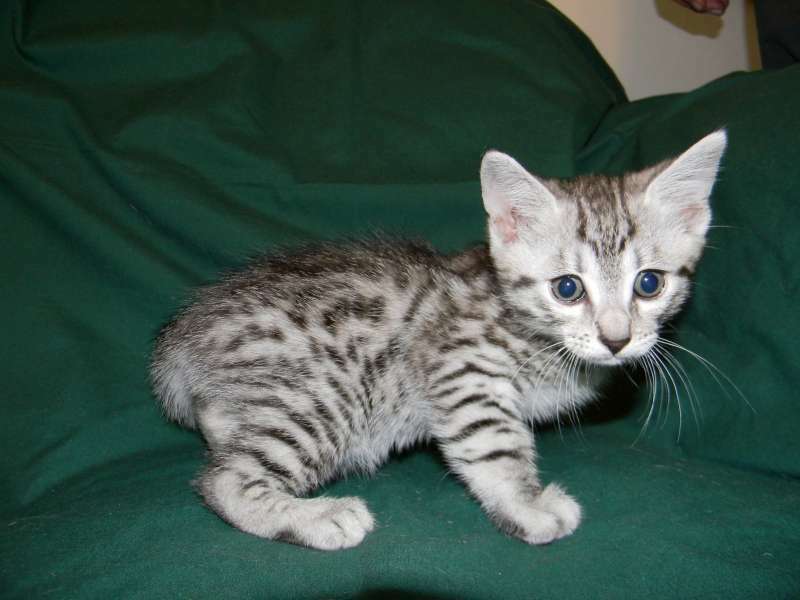 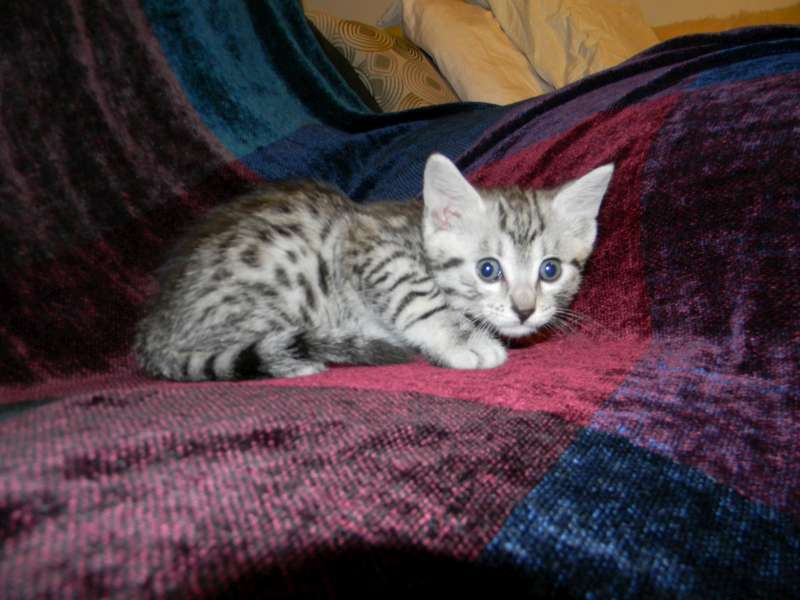 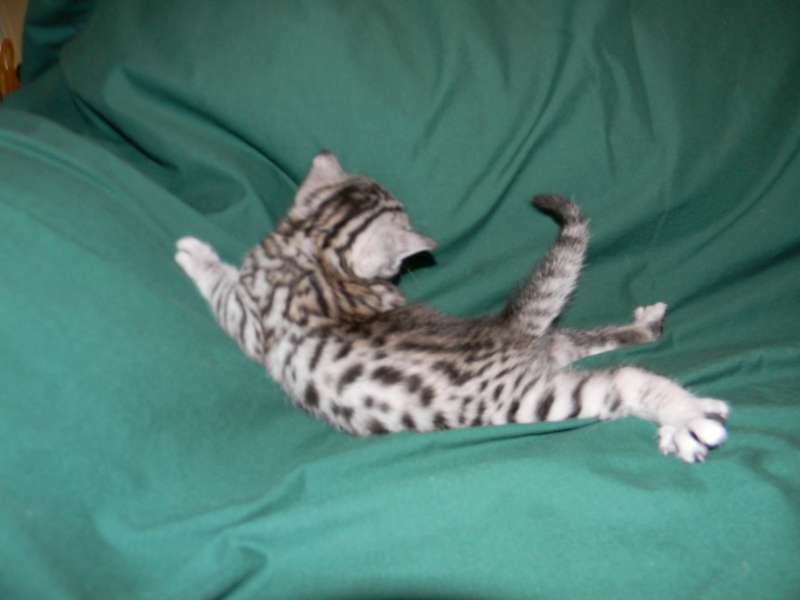 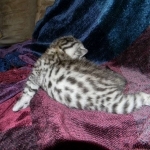 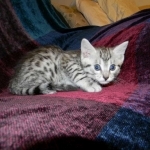 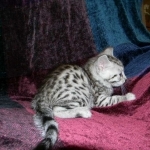 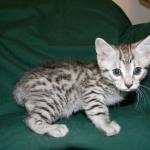 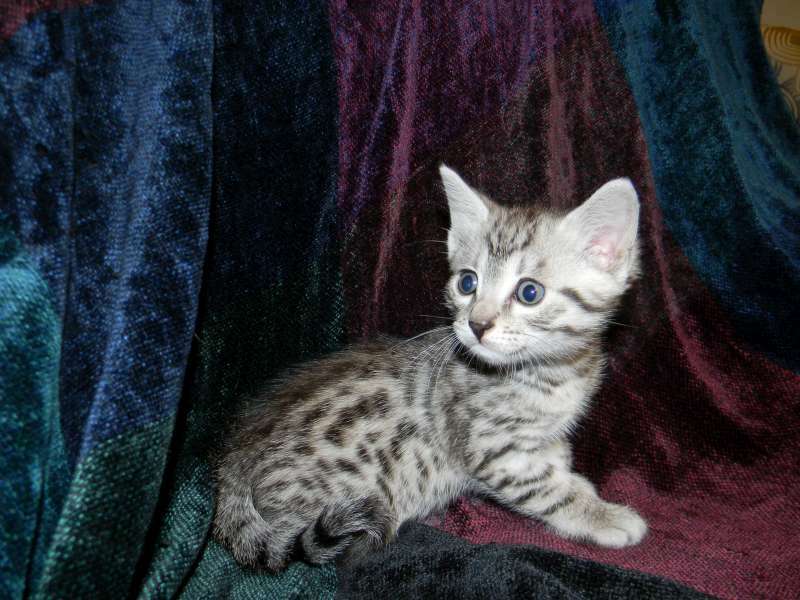 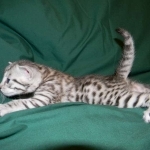 This Egyptian Mau boy is scrumptious! 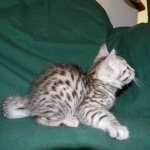 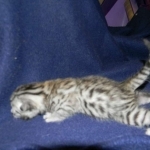 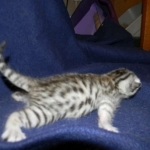 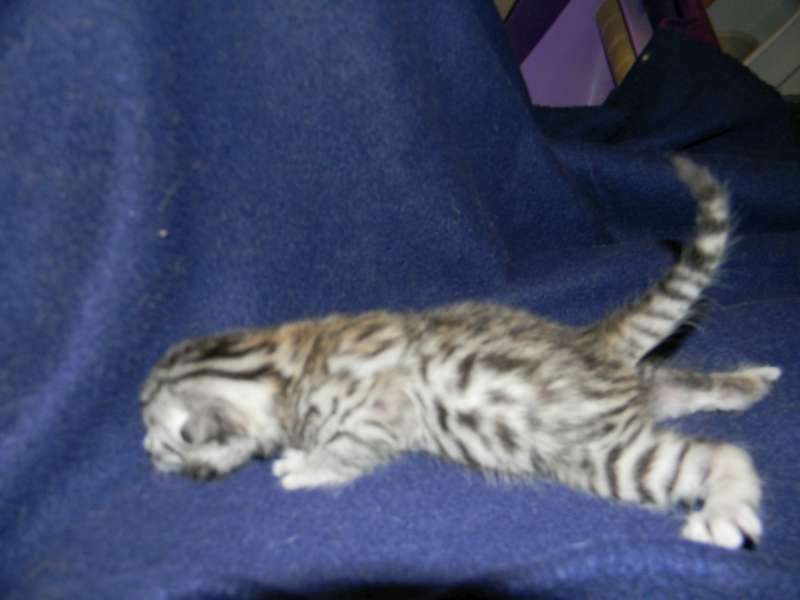 Super SEgyptian Mau, Silver Male DOB 3-8-15pots on this Egyptian Mau Boy.